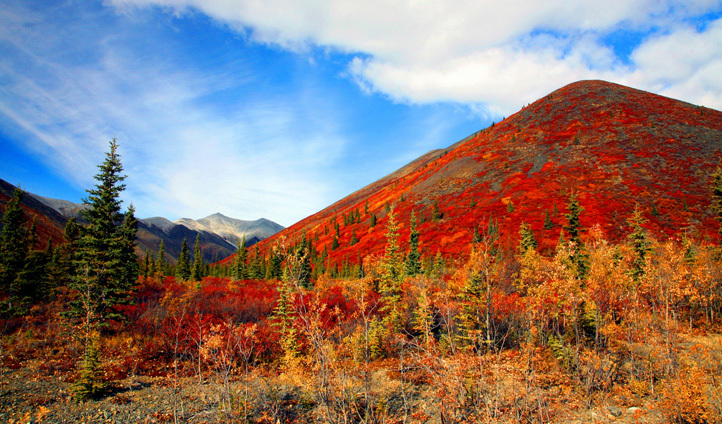 2 Seasons Adventures offer cabin, main lodge and camping accommodation in the heart of Canada’s Northwest Territories. But we’re always on the lookout for experiences that are that little bit different – and 2 Seasons Adventures has that too. 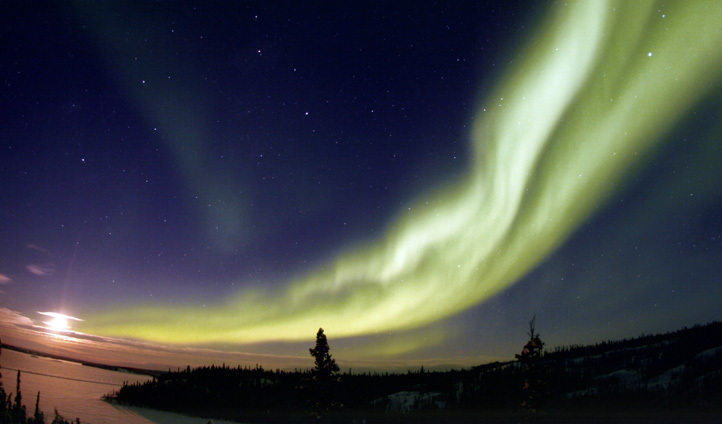 Their collection of unique Yurts allows travellers the opportunity to sprawl out underneath wide open skies tinted with the green magnetic hues of the aurora borealis. Nestled on the south shores of Great Slave Lake near the mighty Hay River, 2 Seasons Adventures Yurt lodgings are the ideal dwellings for travellers in search of a rustic experience in Canada’s vast NWT. The easiest route to 2 Seasons Adventures involves catching a short and scenic flight from Yellowknife directly to the Hay River, where your private transport will be waiting to help you make the short journey to your Yurt. Yurts have been used for centuries by nomadic peoples across the globe, most prominently in Central Asia, but the Yurts on offer here are a little more hi-tech and sturdy in terms of their construction. Step into these spacious circular tents and you’ll be greeted with open-concept interiors, at the centre of which is your queen size bed. Though the furnishings are otherwise fairly minimal, the intricate wooden frame that forms the shell of the Yurts is a marvel in itself. The yurts are 20 foot in diameter and include a 5 foot opening in the roof; allowing weary wanderers to collapse into bed and gaze up at the dancing Northern Lights. Authentic yet comfortable, modest yet impressive; chances are you’ve never stayed somewhere like this before. What’s more, the few Yurts on offer are grouped relatively close together; providing that warm, communal feeling without compromising on your privacy. Their location on the Hay River only serves to further impress; a hotspot for adventure and activity, with Jet boat tours and leisurely rides up to the magnificent Louise Falls, all on offer. For those travelling in the summer, prepare to be surprised by the magnificent sandy beaches that are close-by.